The MARINE MOJO is a new iteration of the SKI MOJO that has been re-designed to reduce injury and fatigue from the vibrations of fast moving small marine craft. The MARINE MOJO is currently being tested by a number of Navies. A small company that makes ski enhancement braces with gas-powered springs at the knees for shock absorption and weight transfer to the ski boots. In 2013, AlterG acquired Tibion and the Bionic Leg. The Bionic Leg is a single piece knee exoskeleton for rehabilitation with no backpack or other peripheral attachments. AlterG does not actively advertise the Bionic Leg on social media, and it is not clear if the company will continue pursuing the technology. A small, two man company that is striving to create a 15-20,000€ lower body exoskeleton for paraplegics that still have some motor function in the legs (similar concept to Ekso). B-Temia is a human augmentation systems company that supplies Revision Military with powered exoskeletons. B-Temia is also actively advertising its medical powered knee exoskeleton, the KEEOGO, at trade conferences such as WearRAcon16. Bama Teknoloji specializes in fixed/suspended exoskeletons for interactive video rehabilitation. Bama Teknoloji has gone in a very similar route to Hocoma and their Lokomat. A spin-off from Simon Fraser University, Bionic Power specializes in a knee brace that harvests power while walking. The power can be used to run small devices or recharge batteries. The ARKE is a lower extremities rehabilitation exoskeleton. Bionik Laboratories emphasizes the need for excellent data collection and handling and is collaborating with IBM to manage the data it collects. 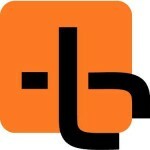 The company is publicly traded under BNKL. The SEM Glove is a patented, soft robotics glove for people with weak hand grip. The SEM Glove is commercially available in the EU and Japan, and potentially soon in North America. This company established that making exoskeletons can be a viable business model. CYBERDYNE is the leader in exoskeleton technology in Japan, and it recently opened a new separate R&D facility. Similar to Lockheed Martin, DSME has announced that it plans to develop exoskeletons to assist workers in shipyards and other operations. Daiya Industry works with Japanese universities on commercializing soft exoskeletons. The company is the distributor for the Pneumatic Power Assist Glove and specializes in medical wear. Formerly Berkeley Bionics, over the last decade this company has worked on various projects in conjunction with the US military. The Exhauss is a passive upper body exoskeleton for work & industry. The user’s arms are connected to a large vest using a spring loaded arm on each side. The Exhauss is commonly used to hold video cameras and stabilization gimbal. This Russian startup company is developing exoskeletons primarily for medical rehabilitation and the army. Focal Meditech focuses on assistive medical devices that promote independence and autonomy. The company has a full line of Dynamic Arm Support end-effector exoskeletons. Fourier Intelligence is a high-tech company focusing on exoskeletons and rehabilitation robotics. The M2 is an upper limb rehabilitation robot that received pre-approval from CFDA for the Chinese Market this year. In March 2017 the company is planning to unveil its first lower limb exoskeleton. Gobio Robot has been extremely active demonstrating passive exoskeletons for work and industry such as the Laevo at multiple European trade shows. The Hank exoskeleton is a medical powered Hip-Knee-Ankle exoskeleton with at least 30 units already being tested. The Hand of Hope is an EMG-driven power glove for hand (fingers) rehabilitation. In their words: GoXtudio aims to develop wearable and robotics technology that enhances performance, quality of life, recreation and health. Hocoma specializes in stationary lower and upper limb rehabilitation devices. Its products are currently used in hundredths of hospitals worldwide. The company with the greatest experience in making robots walk is surely working on new exoskeleton devices beyond what is shown on their website. In 2015, 100 trial units of the Stride Management hip exoskeleton were made available on lease. In August 2015 automaker giant Hyundai joined the ranks of other automakers researching exoskeleton technology: Honda and Daewoo. Hyundai has started small with a knee only and modular hip-knee exoskeletons powered by electric motors that use harmonic drives for gear reduction. Innophys is attempting to enter the exoskeleton systems market by producing a light and cheap (less than $6000) partial exoskeleton suit that provides power assistance to workers at risk of back injuries such as nurses and warehouse employees. Originating from MIT, Interactive Motion Technologies (IMT) specializes in neurorehabilitation. In March 2016 Bionik Laboratories entered into a merger agreement with IMT. The ATLAS is a powered lower back exoskeleton. It is designed to remove some of the forces compressing the lower spine. KineteK-Wearable Robotics is a spin-off of the Sant’Anna School of Advanced Studies and is aimed at commercializing fixed rehabilitation exoskeletons. Ski-enhancement braces that use spring recoil to reduce stress and strain on the legs and knee joints during turns. One of the world’s largest military contractors has created a passive exoskeleton that transfers weight from a person’s arms to the ground, allowing workers to hold heavy tools for extended periods of time. A start-up based from the Spanish Center For Automation and Technology. Specializes and light weight rehabilitation exoskeletons, mainly for pediatric use. 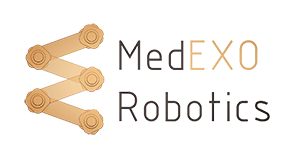 The MedEXO upper limb exoskeleton is a 3D printed arm and wrist exoskeleton designed for effective but economical tremor suppression. The company is also looking into the possibility of a computer gaming application to supplement its funding. MediTouch specializes in rehabilitation products that target individuals towards the end of their program. For example, the BalanceTutor is a device that purposely tries to disturb the user so they can practice recovering their balance. 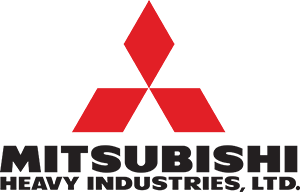 Mitsubishi labels their wearable robot as a Power Assist Suit or PAS. It was exhibited at the Japanese International Robotic Exhibition (IREX 2015) in Tokyo, Japan and is undergoing testing with the help of ActiveLink. Motorika focuses on patient-specific exercises and rehabilitation using its fixed gait rehabilitation exoskeleton, the ReoAmbulator. A spin-off from MIT, Myomo makes a custom fit, motorized arm braces that use muscle EMG to control. Noonee is a small start-up company working on a light exoskeleton than can stiffen to act as a chair. Originally tested by workers in select Audi and BMW assembly lines. Otherlab Orthotics is decreasing the weight, cost and complexity of exoskeletons by using pneumatics (inflatable segments that expand to create movement). The company is headed by one of the original designers of the Ekso by Ekso Bionics, Tim Swift. One of the world’s largest prosthetics companies debuted it’s first bionic exoskeleton brace at the start of 2015 (developed in conjunction with Ekso Bionics). P&S Mechanics develops, produces and commercializes the WALKBOT series of fixed frame gait rehabilitation exoskeletons. Panasonic and the Panasonic Group Company, Activelink have shown several different exoskeleton suits over the last few years. The Indego aims to deliver an easy to use exoskeleton for mobility challenged patients. PhaseX AB is attempting to commercialize the results of the Exo-Legs research project that ran from 2012 to 2015 in the EU. The Exo-Legs is a mobile, lower extremities exoskeleton, that aims to improve the quality of life for the elderly with muscle weakness due to natural aging. Specializes in “cobots” or collaborative robots. The company unveiled a new augmentation lower body exoskeleton in 2016. The G-EO System is a fixed, gait rehabilitation end-effector exoskeleton. It uses pedals rather than a treadmill and can simulate stair climbing. The Hand of Hope is a fixed powered glove exoskeleton for rehabilitation. It uses muscle EMG for control and has integrated visual feedback. The Hand of Hope is manufactured and distributed by Rehab-Robotics with clinical evidence done by Polytechnic University. ReWalk Robotics specializes exclusively in allowing people with paralysis to stand up and walk again. Rex Bionics is building and testing exoskeletons for people with disabilities that do not require crutches or any other additional external supports. Roki is a modular, powered hip-knee exoskeleton for gait rehabilitation. It is developed by the Mexican startup Roki Robotics in collaboration with multiple local universities and agencies. Rotbot Systems strives to be the first enterprise to create a fully crowd-funded exoskeleton for industrial use. In 2007 Raytheon purchased Sarcos and its exoskeleton technology which was then bought by Sarcos LC in 2015. If you got to the Spring Active website, you would be left with the impression that this is a prosthetics developer. However, the company has worked on several exoskeleton projects over the last few years (primarily lower body exos). 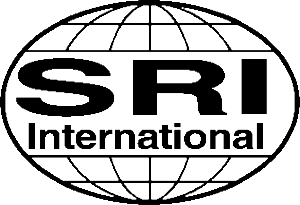 SRI International is a nonprofit research center. The SRI Robotics division has experience in energy efficient dynamic robot walking, exosuits and novel materials. Recently Super Flex spun off as its company from SRI. Specializes in small, task-specific, passive devices. It is possible that this approach might have a better chance of being quickly and widely accepted by the general public, paving the way for larger, motorized exoskeletons. The V22 and FLx are now part of the 3M catalog. The Walk Assist Robot is a powered knee exoskeleton with an ankle brace. It can be worn individually on either foot. In 2016, members of the Toyota robotics team confirmed that the company is still actively researching wearable robotics technology. Tyromotion is a world leader in upper body robotic rehabilitation. The company offers wearable robotic solutions (usually end-effector style) from the shoulder to the fingers. The goal of this company is to explore the manufacturing of exoskeletons at a low cost. Amazingly, US Bionics is in direct competition with Ekso Bionics, even though both companies were founded by Dr. Homayoon Kazerooni. Recently the company has changed its name to SuitX. Wandercraft is developing a self-balancing powered exoskeleton for rehabilitation and mobility assistance. The goal is to create an exoskeleton that is so reliable and intuitive that it can be used as a direct substitute to the wheelchair. You can also view our map of exoskeleton companies here. For more information on commercial exoskeletons, you can use our exoskeleton catalog. December 2016: Added: Japet, Walkbot, Fourier Intelligence and Focal Meditech. The only hands free exoskeleton for people with complete paralysis is the Rex by Rex Bionics, but it is a very slow device and it has not been approved by the FDA. Does anyone know of any studies linking septic paraplegia with exoskeleton use? Yes, absolutely! The HANK exoskeleton is included in the 42 Medical Exoskeletons article, but the list of exoskeleton companies hasn’t been updated in a few months. Thank you for reaching out! I cannot walk anymore due to bad surgery that took away my legs. Can someone give me names and phone numbers of companies selling exoskeleton pants? Hello sir, I am sorry to hear about the loss of the use of your legs. Unfortunately, there isn’t an exoskeleton device on the market that can restore full mobility. The only exoskeleton that can restore partial mobility to people with complete paralysis in the legs is the Rex by Rex Bionics. I would suggest that you start with their website. We manufacture and distribute Hand of Hope with clinical evidences done by Polytechnic University, It is a stationary Hand Exoskeletons For Rehabilitation, that uses muscle EMG to control. Should you have any queries, please let me know. Thank you for the information, it is much appreciated. Does you company provide a lower extremity exoskeleton, and how can I become in touch with you,I can not walk since April 209 from a back surgery that went wrong.Please help me find you and see how we can get together. I contacted you back in April regarding your query. At this point, Exoskeleton Report only collects information, we do not provide any devices. I have previously used the Lokomat and the Ekso. Where can I find the Lokomat in Phoenix? Also would try anything else. Thanks! Hi Jim, I think your best bet is to call your local medical centers that have a rehabilitation department. I looked up Touchstone Rehabilitation in Phoenix and they don’t have any exoskeletons listed in their equipment & technologies page. We currently commercialize an exoskeleton called Exo-H2. In fact we are the first Spanish company commercializing an exoskeleton (since 2014). I don’t really know why we do not appear in the list above. Can someone help me with information about where exoskeletons are in use by caregivers to lift the elderly or sick? eg. hospitals, nursing homes etc. Even though it would be a great application, I don’t know of any facilities that use exoskeletons on regular basis to lift patients. Whats the ticker for the company that designed the first eskeleton brace? The publically traded exoskeleton companies at this time are: Ekso Bionics, ReWalk, Cyberdyne, Bionik Labs, Bioservo, and Myomo. The stock tickers are NASDAQ: EKSO, NASDAQ: RWLK, TYO: 7779, OTCMKTS: BNKL, BIOS:SSFN Stockholm, NYSEAMERICAN: MYO. Your exact question was what is the sticker for the designer of the first exoskeleton brace, and it is hard to tell, as many of these projects were began a decade or more ago and product is different (for example, the Ekso, ReWalk, and CYBERDYNE products look alike, but they approach the same challenges differently). This question probably deserves its own article. Thank You Bobby for this report, I have the other email with the company names, I believe you sent them to me. I going to go thru them and email the one that look they have a chance. Thank you again. Thank you very much for that list, great work! Seems, your list will never stop growing! ProdRobot is a powered Hip-Knee-Ankle medical device based on the “air-walk” principle. Prodromus specializes in stationary lower limb rehabilitation devices for pediatric use /20 working units in Europe and Asia/. Similar robot for adults would be introduced late this year. It was just reported that a Ford Valencia plant is using exoskeletons. It appears there are two types of exoskeletons. Are you familiar with who the manufacturers are for these devices? One is Laevo but who is the other company? Curious, thanks! For the last few months, the Ford Valencia plant has also been testing the EksoWorks Vest by Ekso Bionics. However, there are also videos and pictures circulating of an unmarked exoskeleton with no visible logos on it. The ExR team is also not 100% sure which one that is. You can add also this one ..http://www.levitatetech.com/airframe/. Yes, absolutely! The Levitate Airframe is one of the best selling exoskeletons on the market at the start of 2018! Stay tuned for a major update on the list of companies. How do “private companies & private institutions view and differentiate the available wearable robots from one another?” Interesting, thanks! Great list! I saw news for SuitX n got interested in this topic; was browsing to see what companies out there in this field and so happy to see this page! I reside in Taiwan and know a Taiwan-based company “free bionics” also has commercialized exoskeleton. It’s currently being used in hospitals in Japan. So actually I am confusing about how it made.